I've been a tad reluctant to introduce this BOM, because I haven't done any sewing on it yet - and so I am currently four (out of a total of twenty) blocks behind. 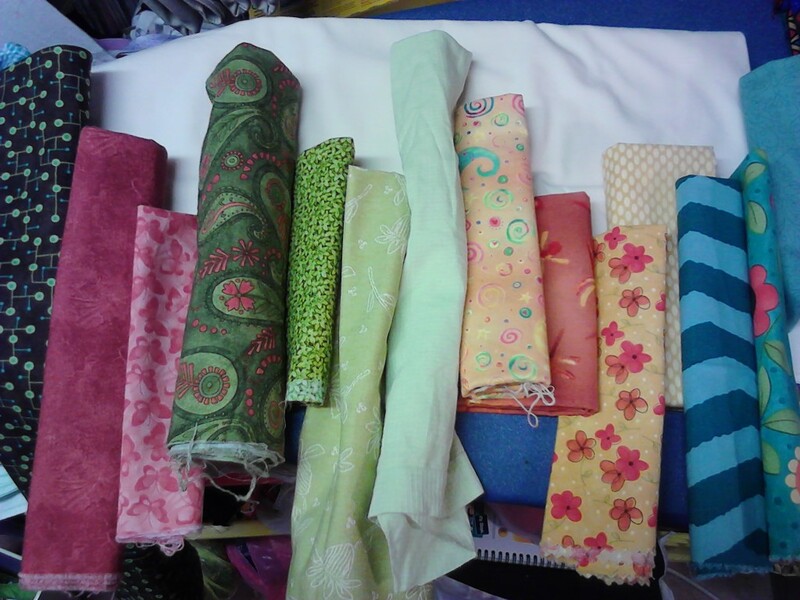 It's the Skill Builder BOM, created by Alyssa over at Pile O' Fabric. What I was finding the hardest was choosing a colour palette. My first choice, in a moment of supposed inspiration, was monochrome. 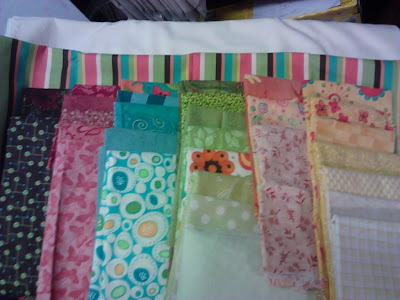 Then I thought to use this stripe fabric as my inspiration, because I just love all the colours in it. There's a lovely warm feeling about it. It's a print by Sandy Gervais from Moda, of which I only bought half a metre - the last of the big time spenders, that's me! 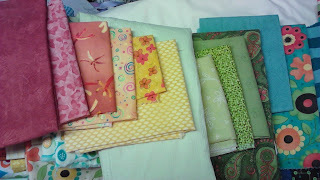 I pulled some other fabrics to go with it (I just love stash shopping! ); as well as a cream, for my neutral background. Trying to narrow it down to just 12 colours for the 1st block. 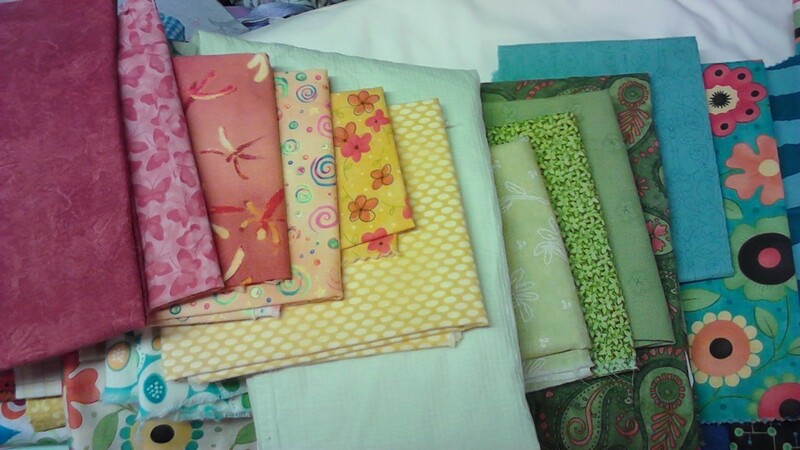 I haven't sewn anything yet, although I've done the cutting for the first couple of blocks.